Plot: Without giving anything away, the film is about jewel thieves and the double and triple-crossing that they engage in. There are Americans and British thieves, and the interaction between the cultures is both subtle and hilarious. The plot is fast-moving and incredibly funny, with strong characters and great cinematic pacing. Why you should watch it: The film is sometimes perceived as a continuation of the Monty Python film endeavors, as it stars two of the Pythons. However this is not the case. The film is mainly a labor of John Cleese. He actually co-directed the movie, but chose not to be credited. Regardless of how you feel about Cleese, Palin, or any other Pythons, this film is a must-see if you like to laugh. 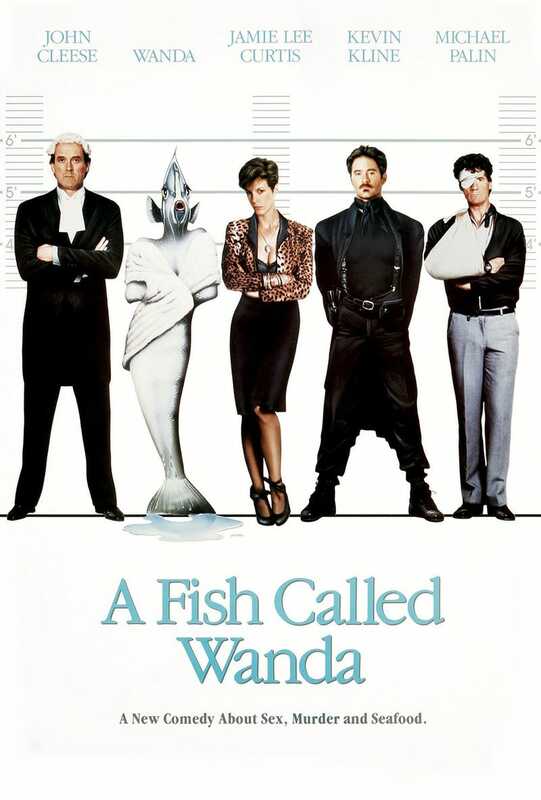 The cast is outstanding for A Fish Called Wanda. Curtis is good, but not great. If there is a weak point to the casting, I'm afraid she's it. The rest of the cast is impeccably chosen. Kevin Kline, who won the Oscar for Best Supporting Actor, is incredible as an anglophobic pseudo-intellectual ("Don't call me stupid"). Michael Palin is great as Ken, a man who loves animals more than humans, and who suffers from an incredible stutter. The remaining cast, from the criminal George to Cleese's onscreen wife and daughter, are great compliments to the ensemble. The plot is plausible, centering around a jewel heist. However nothing goes smoothly and there are multiple funny spins and accidents throughout the film. The constant torture of Palin's Ken is a great thread running the length of the movie. Cleese's torturous feelings about his desire for Wanda and his uber-British indifference towards everything else provides a wonderful cinematic dichotomy. However, in my opinion the glue that holds this film together is the interaction between the three lead characters. Wanda, Archie and Otto represent three distinctly different characters with three distinctly different end-games. Wanda wants the jewels. Archie wants Wanda. Otto wants Wanda and the jewels. The interplay between these three is outstanding, and the on-screen chemistry couldn't be better. Archie's stoicism, Wanda's drive, and Otto's paranoia provide an endless supply of comedic electricity. I can watch this film over and over, and still laugh at what I know is coming. To me, that's the hallmark of a great and quirky comedy.